On Wednesday, June 8th, I had a ton of things to do, people to see, and places to be, but when I received a phone-call at 8:30 am from a friend with an extra guest pass for one day only to E3, I instantly knew I had no choice but to be totally irresponsible, drop everything, and go. No regrets! 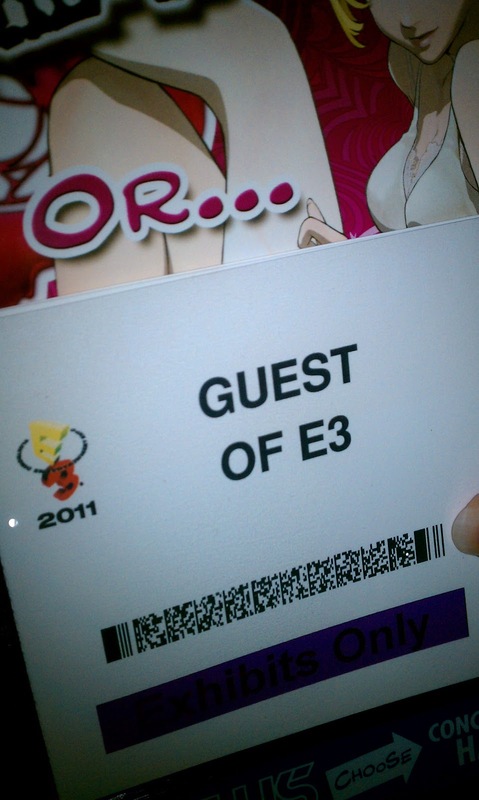 My very own guest pass! Prior to arrival, I was nervous and giddy with anticipation. After circling for parking for an eternity, we finally met up with my friend's friend who suddenly was one guest pass short but had a VIP wristband - he got the wristband, I got his pass, we all crossed fingers, and approached the tiny, uniformed woman checking badges - success! 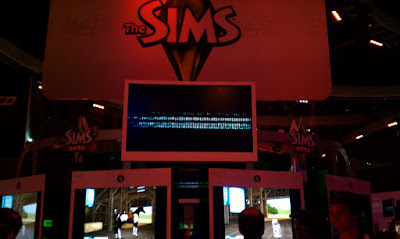 Upon entering the main room, I was immediately sucked into a giant screen showing a teaser for a new Star Wars game. I was stopped dead in my tracks, lost in the amazing graphics and detail and in a moment I knew I was among my people - this was home (like a U2 concert). Most of the next few hours are a blur because my brain was so overwhelmed by all the - all the - all the EVERYTHING! Games, flashing lights, people, costumes, everything! My friend demos Daedalus 3D. 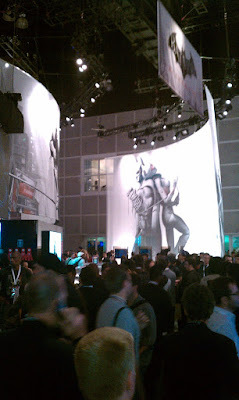 Blacklight Retribution - not a game demo, just a walk-through, but, man, the graphics were intense. Darkness II - never got a chance to play, but the monster looked wicked. 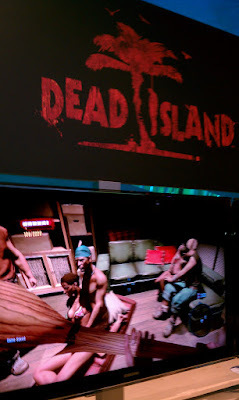 Dead Island - I was most impressed by this game - again, I did not get to play myself, but my friend did (it was a console game demo; I'm a PC gamer) and, man, it was just the most realistic in terms of how you'd think fighting a zombie would be. And you can throw teddy bears (or whatever you can get your hands on) at them and they react. Plus you're on a freaking island. Like Fulci's Zombie or the end of James Gunn's Dawn of the Dead. Elder Scrolls - All I saw was a trailer, but, man, it looked cool. Name Unknown - I cannot for the life of me remember the title and my battery had already died, but it was a Japanese game called Dream something with beautiful, sparkling, fantasy animation. Daedalus 3D - Awesome 3D game - LOVED it. Again, though, same problem with moving (WASD) but looked cool and I enjoy first-person shooters. Free wig with Kinect demo. Now back to Kinect. 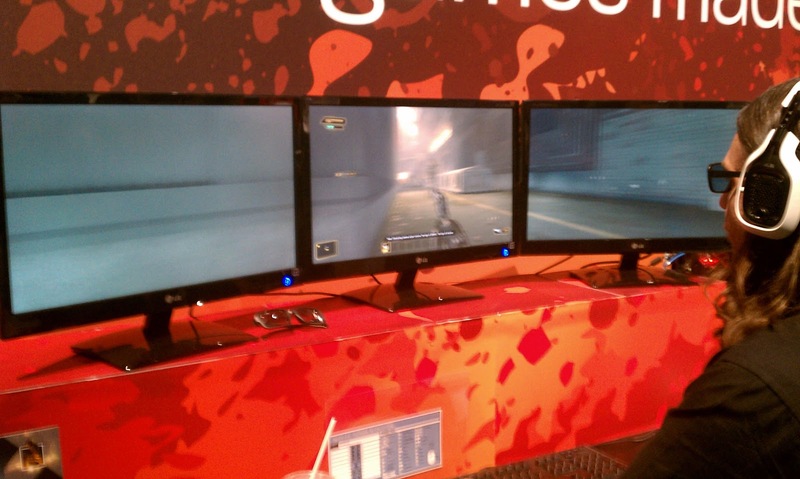 Ok, as I stated, I am a PC gamer. However, there are no real good exercise games for PC (obviously) and I decided, after trying to workout at a gym and hating it, I had to get a console for fitness. Enter the Wii - I knew going in that the graphics weren't as good but I needed that Wii fitness board. I also found I could handle the Wii controller much easier than I ever could the Sega Genesis (I ruled at Mortal Combat, btw) and by extension PS3 or Xbox. 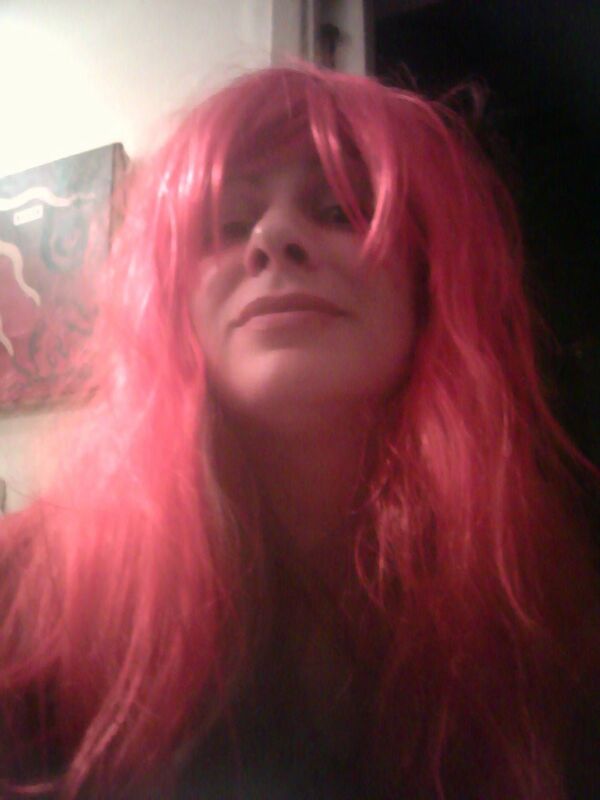 The Kinect changes all that! 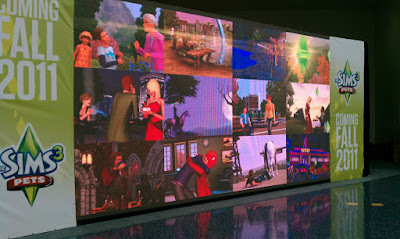 With Kinect YOU are the controller, so it's hassle free once you get the movement down. Also, it's crazy good exercise. I was sweating and my heart was pumping wicked fast. I know it's not brand new, but it's new to me and the first time I ever got to play with Kinect was at E3 (my RL friends just don't game mostly, especially the girls - man, I wish I had more RL girlfriend gamers). Anyhoo, so I played this game the name of which I now cannot for the life of me recall - it may not have even been a game booth, just a Kinect booth so maybe it's the game that comes with it - REGARDLESS I am in love with Kinect! So, now I need to find some spare money so I can get an Xbox and Kinect and Kinect Star Wars, which, OMG, looks like the coolest game ever! 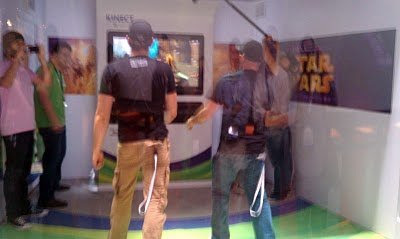 Zachary Levi demos Kinect Star Wars. BTW, while I was checking that game out, Zachary Levi showed up with a camera crew and demoed the game. I'm not a big fan or anything; he's actually the cousin of a long lost friend of mine and that's how I first heard of him before Chuck ever came out, but I never met him or anything. However, it was cool to watch him play! End all be all, I totally have to find a way to go back to E3 in the future. I have no idea what this game is. I learned so much about games and gaming and gamers and I felt so at home. Now, I shall end on my absolute number one favorite game that I demoed at E3 - The Sims 3 Pets. Where do I begin? 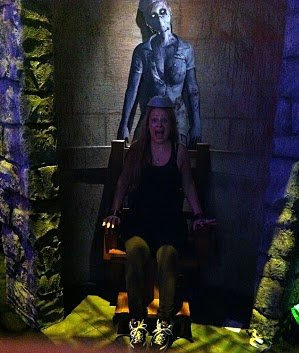 It was like a religious experience! Ok, so first I played the game, then went to the 15 minute demo where I learned all about the new pets - now also including horses! 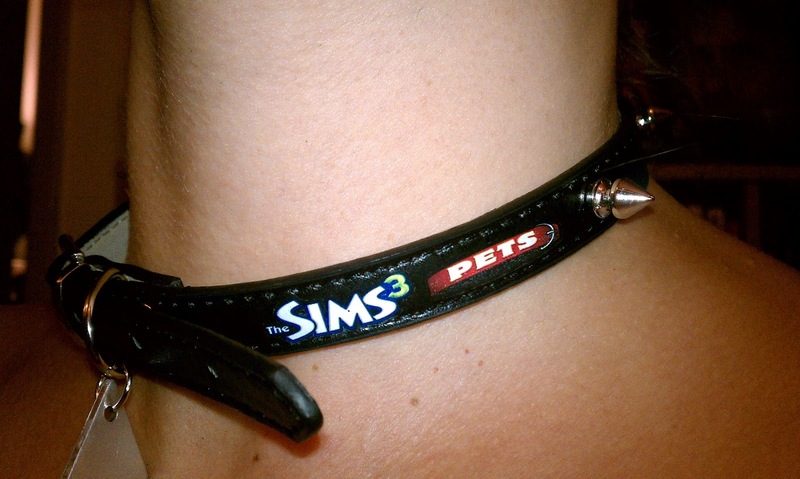 - and how you can now play as them - Pets are Sims, too! 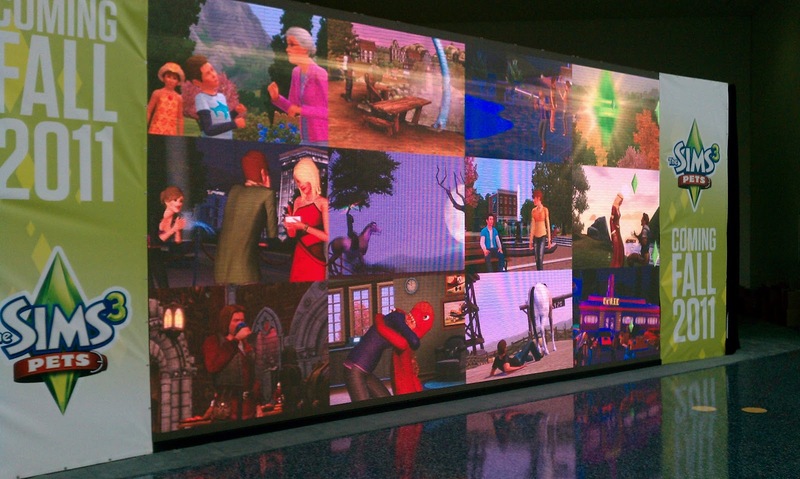 Also, the new town looked crazy familiar, so afterwards I said to the Sims 3 guy, "I noticed autumn leaves on the ground..." (I was thinking, "Does this mean Seasons?") And he explained that they created a new town based on New England. HOME! How cool is that? Yay! 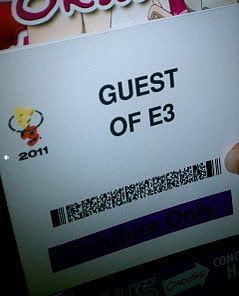 My E3 experience now complete. Oh, and I also jumped in a bouncy castle. 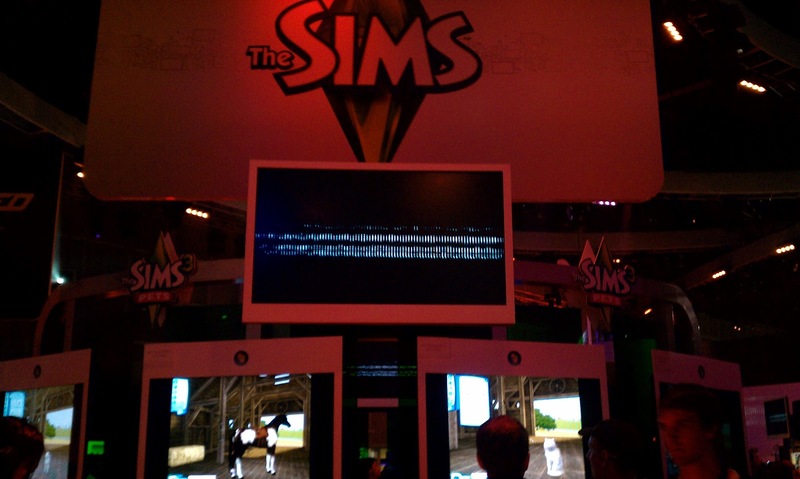 TL;DR: E3 was awesome and I want The Sims 3 Pets now. Also, Xbox and Kinect.